P8Auth is a subscriber connectivity management platform enabling you to better manage your customer connectivity and data usage. Reduce your monthly bill by managing unpredictable costs due to over the top data usage, excessive support and complex billing runs. 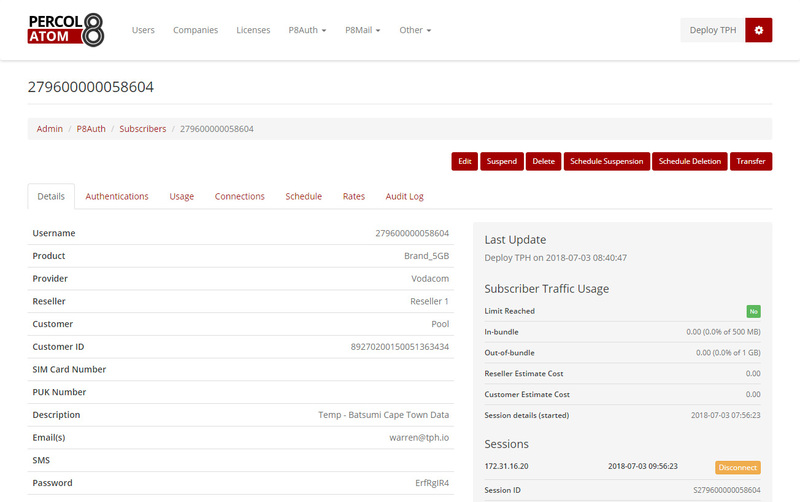 Take control of your subscriber usage, reporting, management and billing. At The Packet Hub we take pride in what we do. We don't drop boxes, we build products that make a difference and build relationships that last a life time. Besides all the great functionality that you get with P8Auth you also get The Packet Hub team to support and assist. That makes a big difference! Manage all customer connectivity through a single management console. Consolidate your APN, Fibre, WIFI and ADSL management interfaces into a single management platform. Reduce the noise in your business by enabling your resellers and customers to self manage their connectivity. P8Auth supports a three customer tier architecture. Your business, your resellers and your resellers customers. Update logos, colours and text on P8Auth with ease to carry your brand through to your resellers and their customers. Offer the same to your resellers empowering them with a unique management url and ability to change logos, colours and text. 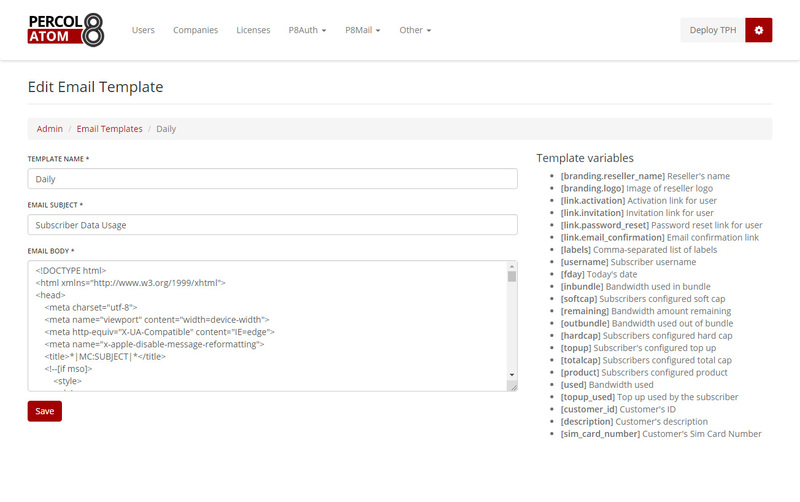 Create and assign packages to subscribers, notify on subscriber usage, cap subscribers, allow data top ups and more. P8Auth enables you and your resellers to effectively manage subscriber data usage and mitigate the risk of data overruns. 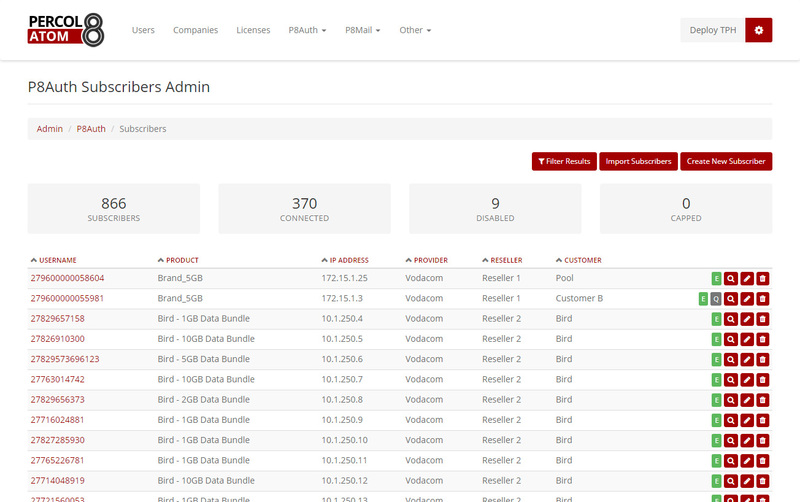 Create subscribers, assign subscribers to specific reseller customers, set passwords, limit connected sessions, report on data usage, report on data usage costs, alert on data usage, assign IP’s and group subscribers are just a few of the options available to you to better manage your subscriber base. 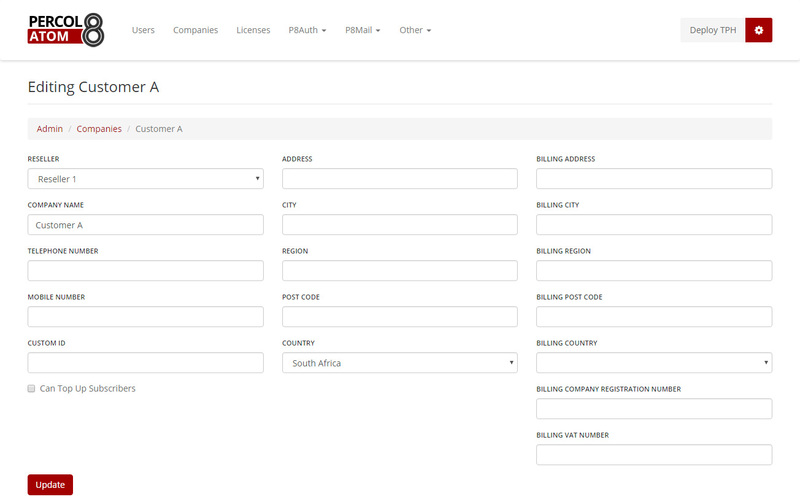 Would you like to arrange your subscriber accounts by location, office, cost centre or assigned user. P8Auth includes the ability to create labels which enables the ability to group subscriber accounts for better management and ease of reporting. Ensure your customers know how much data they are using. 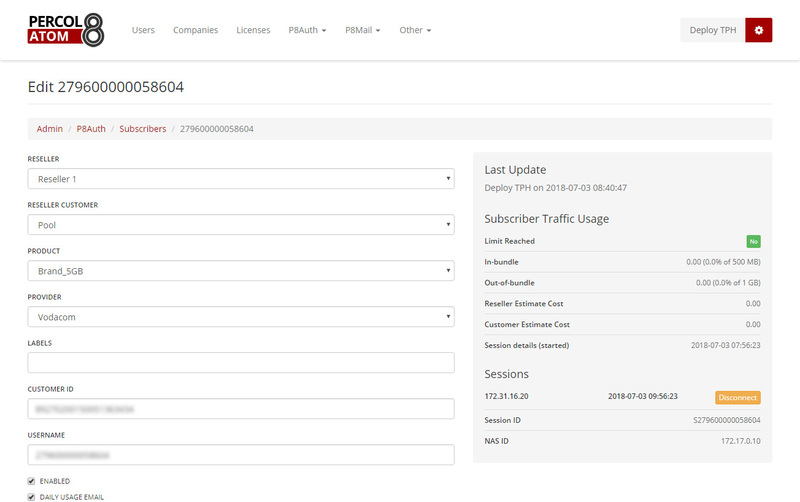 P8Auth supports 4 data usage notifications levels based on customisable percentage values. Notifications can be enable per subscriber for either SMS or Email or both and each notification type can be branded according to your preferred look and feel. Is the subscriber connected, when was the last connected session, how much data has been used, can I suspend the subscriber, can I disconnect the subscriber. 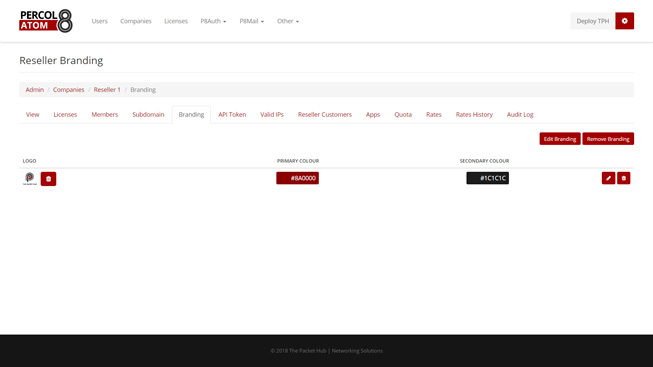 All common questions easily managed through the P8Auth console. Even better P8Auth enables your reseller and resellers customer to manage their own subscribers thereby reducing the need to call you. Prefer to present your own business systems for management of subscribers? 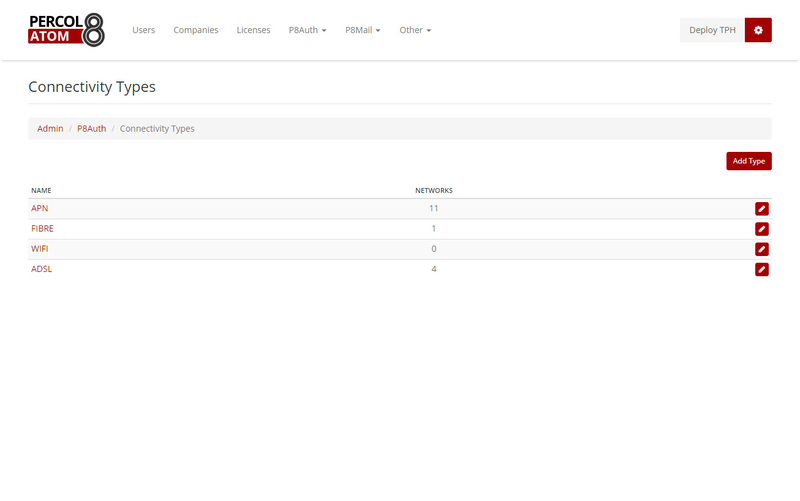 No problem, integrate your business systems via the P8Auth API for full access to all P8Auth features and reporting. 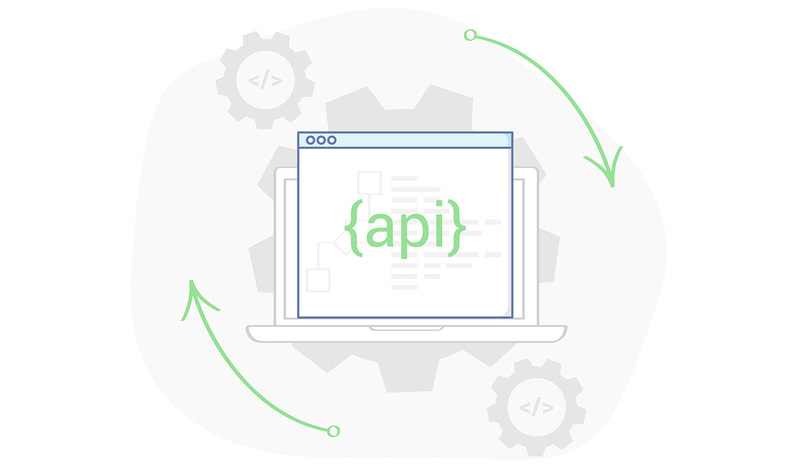 The P8Auth API extends to your resellers too, enable a custom url and empower your resellers to manage their connectivity directly from within their business systems. Licensing of our P8Auth platform starts at 1500 subscribers inclusive of all features and price breaks based on volume licensing. Contact our sales team to find the right pricing model four your business. All P8Aurth features inclusive of a 1500 subscriber license. We're always keen for a chat or to help out where we can.